What does your pet and your favorite sportsman have in common? Both are superb athletes! While your dog would most likely rather be chasing a ball than watching others do it, it doesn’t mean that the dog cannot get into the sporting spirit. 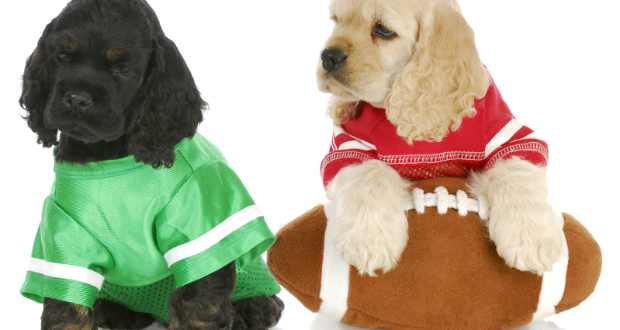 Most major league teams now sell dog jerseys in team colors that are perfect fits. You can also create your own using small sized team t-shirts and jerseys and expanding the arms to find your dog’s shoulders.